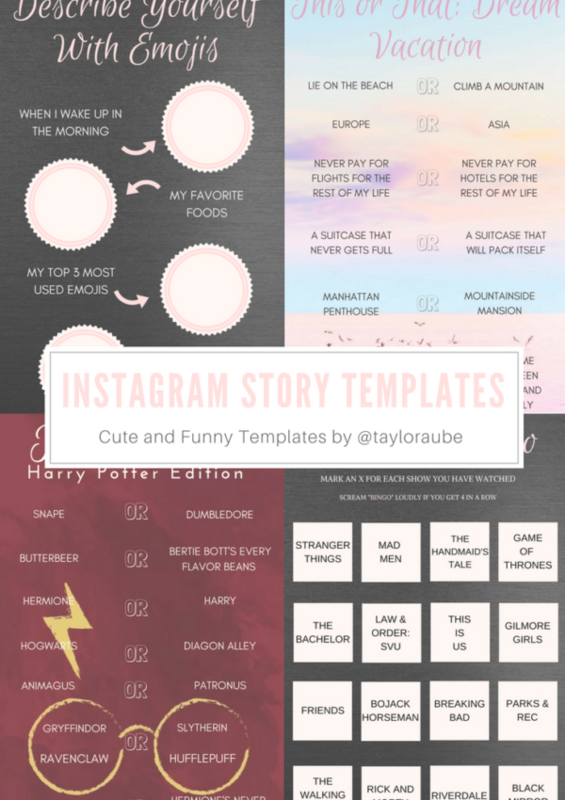 I wanted to share these cute and funny Instagram story templates for highlights on my blog because I have had SO much fun making them. Seriously, my husband has to physically take my laptop away from me because I can’t stop designing and creating these templates. I have quite a few more ideas, so I’ll be updating this post with more templates as I make them. You can always grab the latest Instagram story templates off of my Instagram account, @tayloraube. How do you use them exactly? Well you just save the image to your phone, fill out your answers and post to your story! Instagram story templates are just a fun way to let your followers learn more about you! You fill in your answers with text or by using the pen tool to circle the answers. After sharing with your followers see how many direct messages you get. Theses really spark a conversation!